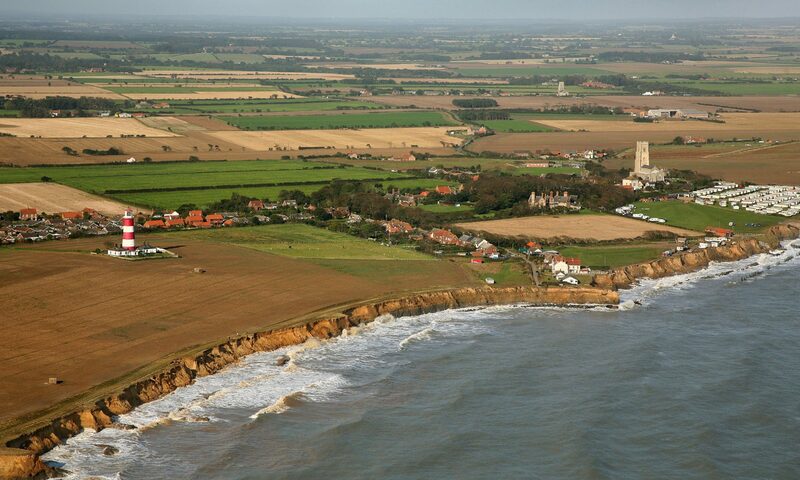 So the MPs and the National Audit Office (NAO) have now expressed what some of us have been saying for some years, see article COASTAL DEFENCE NEGLECT EXPOSED EDP 15th June 07. From a Stakeholders viewpoint the central, core problem with coast protection in the UK is the massive underfunding over the last 25 years by central Government no matter who has been in power. If you ally this to the utterly ridiculous way the management structure has been set out there can only be one conclusion : coastal chaos! Firstly we have one Government department in overall charge of Flood and Coast Protection (F&CP), DEFRA . Those of us who have been closely involved with the subject will immediately identify the first major problem. That is the lumping together of Fluvial and Coastal management policy and approach. Quite simply this does not work. Fluvial flooding and Coastal Erosion/Flooding are distinctly different problems and have distinctly different drivers and solutions. For far too long this confused approach has allowed Government to significantly reduce spending on the coast to positively dangerous levels. Let me give you an example of how they manage to make the majority think the spend on the coast is adequate. When asked directly how much of that £570,000,000 is going to be spent on the coast the Minister’s reply included this gem along with all the spin and waffle ” £47,000,000 is going to the Maritime Authorities not all of which will be spent on the coast,some will be spent inland by the Internal Drainage Boards”. So from a budget of over half a billion less than 47 million was earmarked for coast protection! For an island nation such as ours surrounded on all sides by the sea, that is little short of positively irresponsible and scandalous. Oh yes, don’t be fooled into thinking that was a one off, it has been the same year after year and continues to be so. To make matters worse the Environment Agency (EA) has now been given overall charge of F&CP, this is due to take effect from April next year. So the quango that has for years been addressing the fluvial problems is now going to be in charge of coastal erosion problems. That means the whole annual budget will be theirs to decide how much they spend on the coast and what the split between fluvial and coastal spend will be. Some would say the EA has done a reasonable job in fluvial areas but are ill equiped to cope with the coast. A second problem has been the rather confused messages to Government from the scientific community. I have been to many conferences and meetings and have listened to academics calling for a return to natural process on the coast. When are they going to understand that is quite simply not possible in many areas. I would wholeheartedly support the theory of natural process, our coastline is a living one which has been eroding, accreting, evolving over thousands of years and may well have been very different had we not used artificial methods of moderating that process. Today the inescapable fact is that we have intervened in the past and we are now stuck with that and all of our future planning must recognise that we are starting from where we are not where we may well wish to be. So the call from some academics to return to natural process is not practical and is purely academic. We all,stakeholders, scientists and policy makers have to understand that uk coast plc can not be preserved in aspic as it were, that climate change and global warming is undoubtedly going to severely test our coastal resolve and we must equip ourselves NOW (there has already been too much talk and not enough action) with management structures, policies and most importantly adequate funding that we are in a position to absorb the impact of rising sea levels and climate change the future may bring not just for our sake but for our children and their children. Our current approach to the defence of the realm from the sea (and the 16.9 million people who live in the coastal zone) is confused, woefully inadequate and massively underfunded. It appears we are going to miss a rare opportunity by not making Integrated Coastal Zone Management (ICZM) part of the upcoming Marine Bill. We need NOW a separate wholly autonomous department (see Alernative Governance) that is free and unconstrained by other responsibilities to manage the coast in a socially just effective manner adequately funded, within an ICZM framework that can manage this country’s coast in the best interests of all of the people that we and future generations are able to enjoy a viable, sustainable coast that can thrive and prosper in spite of sea level rise and climate change. We are an island nation whether we like it or not, we either get on and address the issues or we wither on the vine. Perhaps a reminder of the European view is timely : when dealing with coast defence issues we must “pay due regard to coastal communities and their cultural heritage” and when determining coast defence policy ” the precautionary principle must always be applied “. Our current approach will only ensure we pass on an unbelievably high (not just in financial terms) cost to future generations. That in my view would be a complete betrayal.